Hello And Welcome To Millionvisitars, Smoothie is a drink which seems very tasty with water. It fills the stomach for a longer time, This a very easy to make in summer season this can heal your body and regular consumption can save you from dehydration. Take out seeds of watermelon and place in blender with a banana. After that add some yogurt and water and blend it until smooth. Then add ice cubes and add remain sugar/honey and curd, blend till it gets smooths. 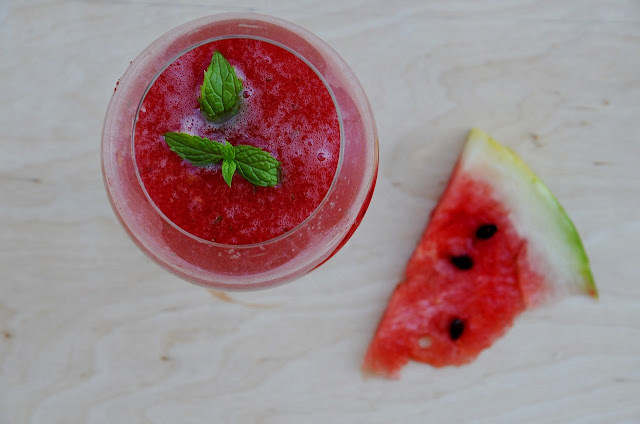 Here is our watermelon smoothie is ready.